The ancient winding streets of the Barrio del Carmen,where LC2010, will take place, contain buildings dating to Roman and Arabic times. 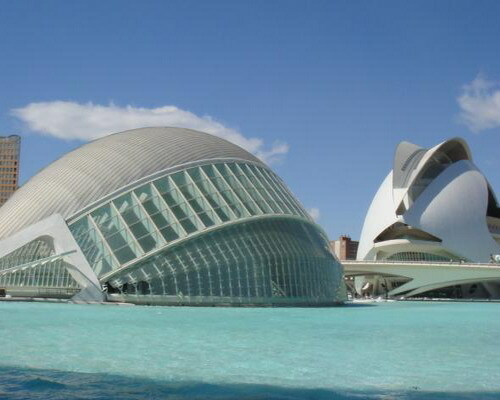 World-renowned (and city-born) architect Santiago Calatrava produced the futuristic City of Arts and Sciences (Ciutat de les Arts i les Ciències), which contains an opera house/performing arts centre, a science museum, an IMAX cinema/planetarium, an oceanographic park and other structures such as a long covered walkway and restaurants. 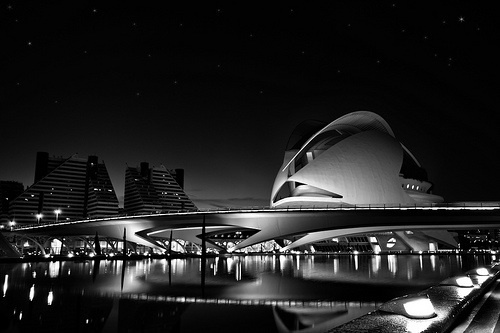 Calatrava is also responsible for the bridge named after him in the center of the city. The Music Palace (Palau De La Música) is another good example of modern architecture in Valencia. The Cathedral, built between the 13th and 15th century, is primarily of Gothic style but contains elements of Baroque and Romanesque architecture. Beside the Cathedral is the Gothic Basilica of the Virgin (Basílica De La Virgen De Los Desamparados). The 15th century Serrano and Quart towers are part of what was once the wall surrounding the city. UNESCO has recognised the Late Gothic silk exchange (La Lonja de la Seda) as a World Heritage Site.The modernist Central Market (Mercado Central) is one of the largest in Europe. The main railway station Estación Del Norte is built in modernisme (the Spanish version of Art Nouveau) style. 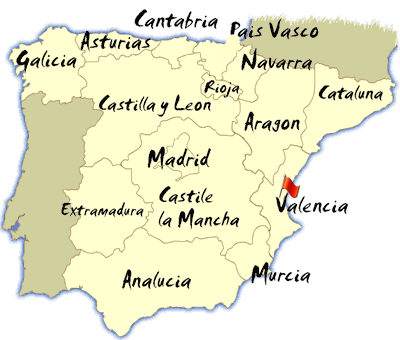 Valencia (Valencian: València) is the capital and most populous city of the Autonomous Community of Valencia and the third largest city in Spain, with a population of 810,064 in 2008. 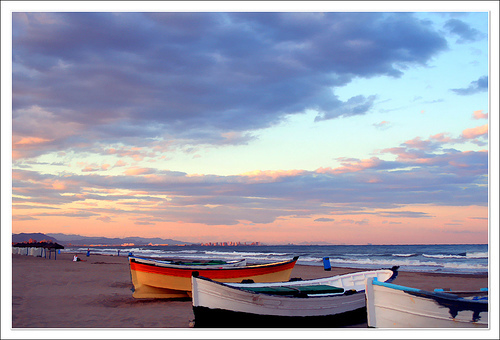 It forms part of a touristic area on the Costa del Azahar. 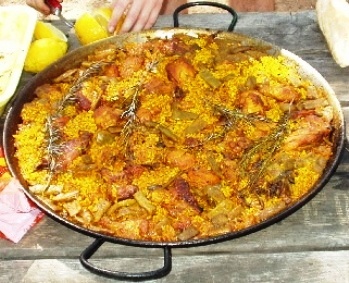 Its main festival, the Falles, has a reputation throughout Spain, while the world famous Spanish dish paella originated around Valencia.